The Eiger Ultra X uses Quantum Tunneling Composite (QTC) Technology for variable light output. This allows you to adjust the light output from a dim glow to the brightest single AAA battery flashlight available. The Ultra X is a special version of the Eiger that has a light output 50% higher than the standard Eiger and runs only on a single Lithium-Ion rechargeable battery. The Eiger Ultra X uses a special optic that more than triples the light throw of the standard Eiger. 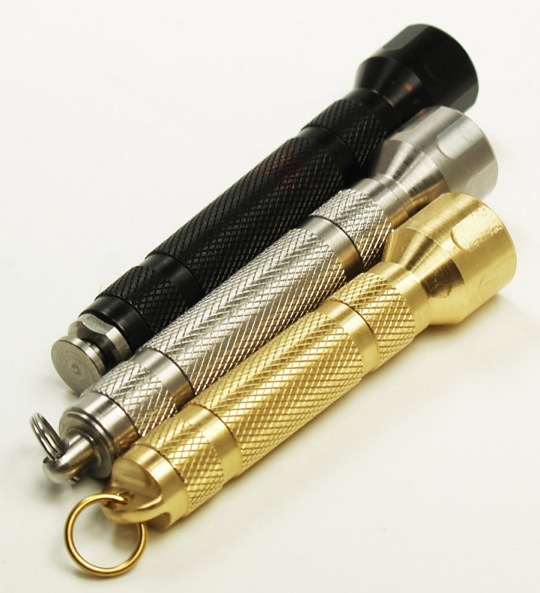 These flashlights are distinctive by a larger head feature and interchangeable with all standard Eiger bodies.